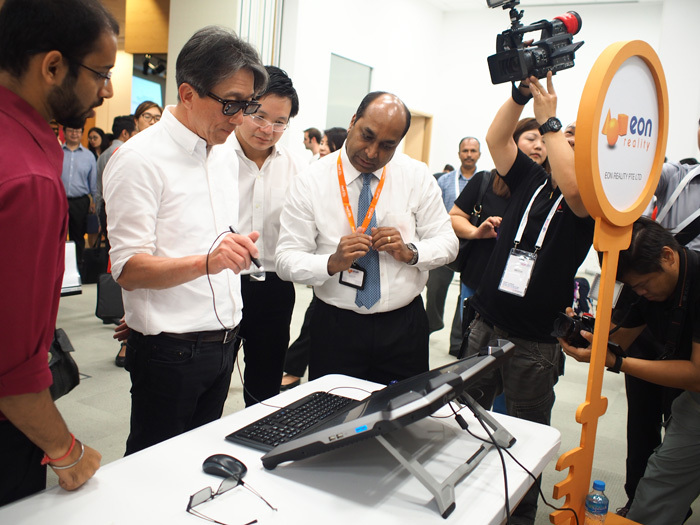 The Singapore Workforce Development Agency (WDA) has unveiled eight new Infocomm Technology (ICT) Professional Conversion Programmes (PCPs). 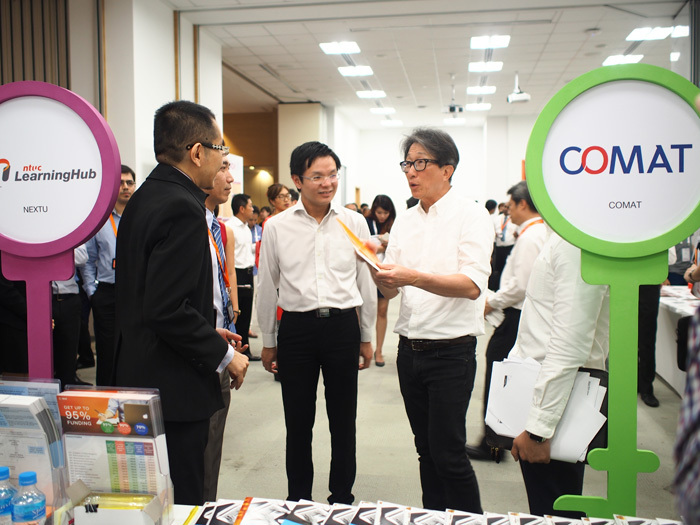 This makes a total of ten ICT PCPs available to 250 PMET job seekers and mid-career switchers in 2016, announced Minister for Manpower, Lim Swee Say. Human Resources attended the inaugural Adapt and Grow ICT Career Fair at the Lifelong Learning Institute yesterday, where the Minister unveiled the new programmes. 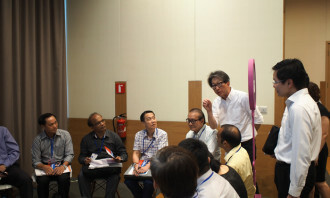 “What it means is that Singaporean PMETs who are interested in moving to infocomm in these 10 job areas can do so even if they don’t have the direct expertise in them. With the support of the WDA and the employers, they can join the PCP, be funded under the PCP to move into these areas,” he said. The PCPs will be available in areas of specialisation with growing demand including jobs such as cyber security professionals, business intelligence architects and software developers. A three- to nine- month programme, these PCPs operate under the Place-and-Train mode where participating companies employ the trainees before they go through classroom and structured on-the-job training (OJT). Participating companies must be registered or incorporated in Singapore, engage in work that requires jobs in the areas of specialisation the PCPs are available in, issue a valid employment contract and be able to provide structured on-the-job training for the candidate. More details about the PCPs can be found here. Lim pointed out that for the long term, most employers are looking for good person who can work and stay with the company in the long run and because of this, they are prepared to invest in the short term. “What we do under the PCP is that in the short term, we help the employers to offset the cost of training and the cost of employment through salary and course fee support of between 70% to 90%. 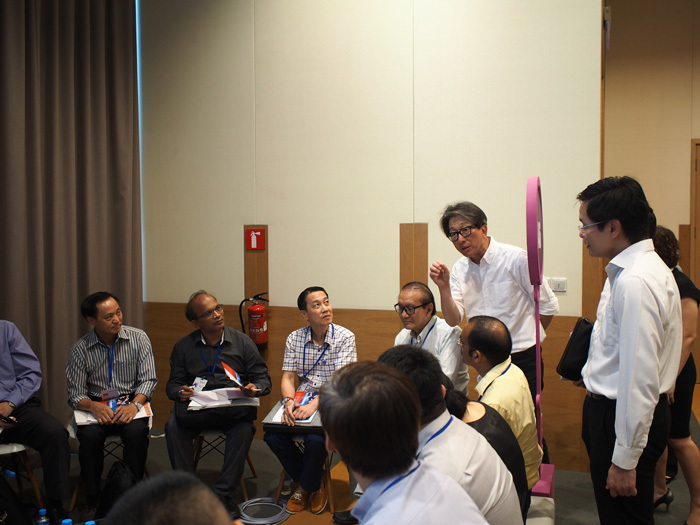 “In other words, we help to defray the cost of investment when these employers invest in new PMETs. Beyond that, once a person goes through this initial process of professional conversion, once the person is job ready, he or she becomes an asset to the company and the employer,” Lim explained. He added that even so, the government will continue supporting them under the WDA training programme for the PMETs to enable them to grow and upgrade their skills and expertise. “For the PCP, we must all come in with a longer term perspective. The whole purpose is that we want the conversion to be a permanent conversion till the person is ready for the next conversion,” he added. 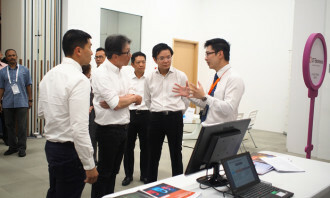 Ng Cher Pong, Chief Executive of WDA, said: “The launch of the new ICT PCPs today signifies our firm commitment to help more PMETs upgrade, reskill and switch careers. WDA will introduce more PCPs, especially in sectors that are growing and still actively hiring. 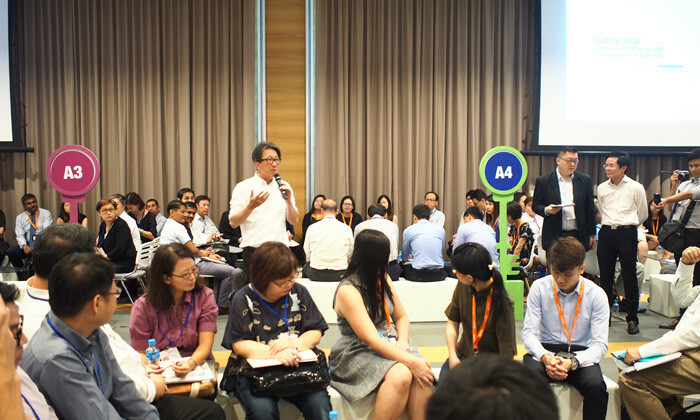 As part of the efforts to enhance employment support for Singaporeans, the WDA plans to organise a series of sectoral-based career fairs. 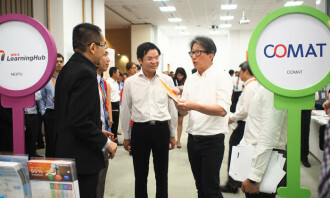 Yesterday’s inaugural Adapt and Grow ICT career fair held at the Lifelong Learning Institute, comprised of activities designed to assist and empower local job seekers to take charge of their careers including career preparatory workshops and networking sessions for job seekers with more than 20 employers in the ICT industry. With over 500 PMET job vacancies available and 250 PCP job opportunities in the ICT industry, the career fair attracted close to 300 jobseekers looking for career opportunities in the ICT industry. Click through the gallery below to see what happened at the career fair. At the career fair, Human Resources spoke to the employers present for their opinion on the PCP and career fair. 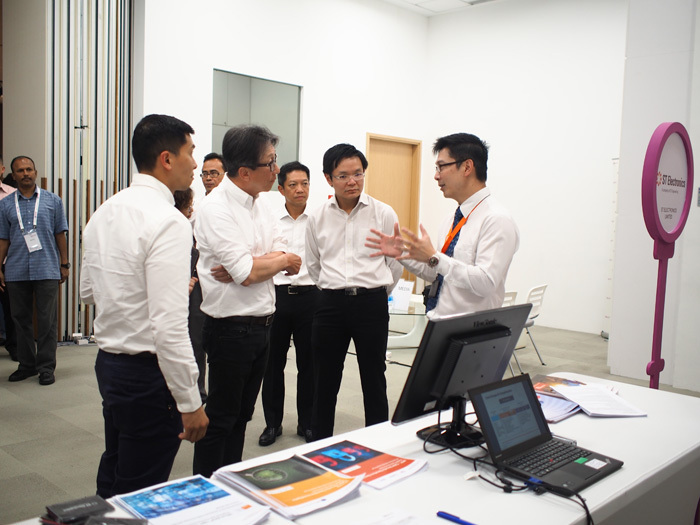 Victor Yeo, deputy general manager, QISP,CISSP at ST Electronics said: “We find the programme very interesting and as far as cyber security is concerned, we want diversity – a mix of different backgrounds. “I think the programme does help us be a bit more daring in taking on professionals without the relevant background. It helps us look at their passions, look past experience and give them the opportunity to convert into the cyber security field,” Yeo added. The main criteria ST Electronics looks out for when hiring through the PCP is experience in the different domains. “For example, people who have worked in the financial institutions or in other big systems operations. Those are some of the operation domain knowledge that I look for because when I build cyber security solutions, with relevance to those sectors and industries, that is where they can value add,” he explained. Sabrina Zolkifi blames leaders for holding Singapore back from innovative greatness. .. It's the first physical space dedicated to developers, located within a Google office - opening up avenues for mentorship and netw..